A stampede during the Islamic pilgrimage to Mecca killed more than 700 people and injured more than 800 in Saudi Arabia Thursday morning. The accident took place in Mina, a few miles outside of Mecca, during a ritual called "stoning the devil" on Eid al-Adha, one of Islam's holiest days. 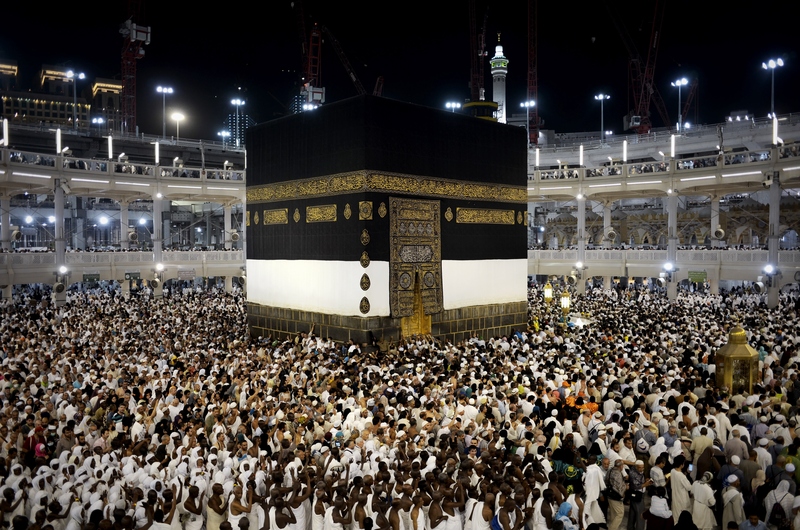 Millions of Muslims make a pilgrimage, or hajj, to Mecca each year, and fatal accidents happen fairly often. Thursday's stampede was the worst since 1990, but when was the last time this happened? In 2006, more than 360 Muslim pilgrims were killed in a stampede in Mina. Known as "the tent city," Mina is a major thoroughfare for pilgrims on their way to Mecca, and thousands of tents are set up there each year to provide temporary housing. The symbolic "stoning the devil" ritual carried out there involves throwing pebbles against three stone walls to purge yourself of sin. At the time, ministry spokesman Mansour bin Sultan al-Turki said that the stampede began when people tripped over luggage at the entrance of the Jamarat Bridge and were trampled by the crowd behind them. After this incident, the Jamarat Bridge was torn down, as it was the site of numerous problems during hajj. It was replaced with a multilevel bridge intended to allow more people to safely reach the walls where the pebbles are tossed. Thursday's stampede was the deadliest since 1990, when 1,426 pilgrims were trampled to death. When some people stopped in an air-conditioned pedestrian tunnel leading to Mecca, there was a rush of people outside pushing to get in. Saudi diplomats told The New York Times in 1990 that the ventilation in the tunnel may have shut down as well, causing some people inside to suffocate. Since 1990, there have been other fatal stampedes, all of which took place in Mina. In 1994, 270 people died in a stampede during the stoning ritual. An accident in 1998 left 180 pilgrims trampled to death. Another stampede occurred in 2001 during the final day of hajj ceremonies, killing 35. And 244 died and hundreds more were hurt during a 2004 stampede -- again in Mina, again on the last day of the pilgrimage. Infrastructural problems have led to other deadly accidents during hajj season in Saudi Arabia. Earlier this month, a crane crashed into the Grand Mosque in Mecca, Islam's holiest site, because of bad weather and a "balance issue." More than 100 people were killed, and hundreds of others were injured. In 1997, about 340 pilgrims were killed and 1,500 injured in an accidental tent fire in Mina. Saudi health minister Khalid al-Falih said in a statement that Thursday's stampede may have been caused by "the movement of some pilgrims who didn’t follow the guidelines and instructions issued by the responsible authorities.” The Saudi Arabian defense directorate said on Twitter Thursday: "We ask God to grant the martyrs his mercy."